In some ways, I can’t believe it’s happened. We were open to it, but the odds were against us, and yet, God made it happen. I’ll officially be able to wear a “I’m a mum t-shirt” this December 2012. Our little one’s 2nd baby photo ever! Even if it was taken with an iPhone camera. As of today (11 weeks), the foetus is only 4.31cm long. I’ve learnt so much these past few weeks. Like, did you know, at just 10 weeks old (about 3cm), the little baby has developed all of his/her vital organs like the kidneys, intestines, brain, liver, and other things like fuzzy hair is beginning to grow on the skin – even tiny fingers, toes and NAILS are being formed! At only 3cm long too! Some grapes are longer than that. I am just amazed at how wonderful this fact is, and how God truly creates miracles. Truthfully, when I discovered about the pregnancy, there was joy mixed with anxiety. I couldn’t help but think about all my clients whose weddings I am due to shoot for 2012. What will they think? Will they be really upset with me? I suppose there’s a part of me that wants to please people all the time, though I know that you can never make everyone happy. I began to feel a little sad for the weddings I knew I just couldn’t shoot. At the same time, I knew that I have to let my life run its course. I can’t just put my life on hold for the sake of my clients. If it doesn’t happen this year, it might be next year. Call me ambitious, but I still hope to shoot till the end of November. Of course, I don’t do it foolishly, so I’ve made some plans. With much fear and trembling, I emailed all my clients to tell them about the news. I made sure I assigned a 3rd photographer for each wedding, at no extra cost to my clients, as a backup in case I only have the energy for half a day’s shoot. I gave them the option to have my other photographers shoot their wedding instead, in case they prefer to not have a pregnant woman prancing around on their wedding day. Amazingly, almost everyone reacted positively to my email. I am blessed with great clients. They were totally understanding (though some were a little upset, but they said that my safety is top priority). So I guess I’ll learn to adapt and life goes on. I am excited! And yes, I have started thinking of baby names (though I don’t know the gender of the child yet!). The next few months will be challenging and yet, exciting. All I can say right now is, Thank God I don’t have morning sickness! Congratulations!!! Take care and hope u enjoy ur pregnancy! Congrats Grace and take care! Congrats Alex Lam Grace Tan Suan Cheng. Did you know December babies are the best :) !! Congrats again Grace & Alex and we look forward to having u shoot at the wedding still…thank u and take care!! Congrats, Grace. You deserve the life that God is blessing you right now. You had been a blessing to me too! Congratulations!! And thank you for sharing this exciting news. Congrats Grace Tan Suan Cheng . :) God bless you. Thanks for all the well wishes everyone! 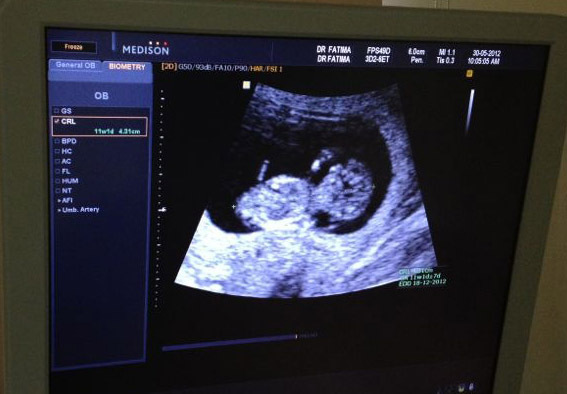 We pray that all will go well, and by God’s grace and strength, I can still continue to shoot till the 3rd trimester! Congratulations. May you Bloom and Glow as you grow..
@ben_israel @TheBackpackr Hey thanks! It’s a new roller coaster ride for us! :) Love seeing Kat’s updates on FB. Wow Congrats, do take care and God bless! Congrats Grace! Blessed news indeed. God has great plan for you and the love ones. Take care and looking forward to hear more good news. Congratulations Grace! Very happy for both of you. Take care!